Don’t know where to start your part-time job search? Ask yourself the following questions to discover opportunities that appeal to you. If you’ve ever wanted a taste of the “real world” but also wanted to ensure that you received pay, then a part-time job is likely what you’re seeking. The holiday season is quickly approaching, which means it’s possible to pick up some extra cash for gifts (or textbooks!) within these next few months. Don’t know where to start your search? Ask yourself the following questions to discover opportunities that appeal to you. 1. What skills do I want to develop? Before you sit down at your laptop and scroll through Monster, write out what you’re looking for in a part-time job apart from the wages. The ideal part-time job will provide you skills and experiences that you will be able to apply in the future. For example, working in retail often offers team experiences, and these can help you navigate through managing a large group project within the classroom setting. One of the most general transferable skills that you will pick up in most (if not all) part-time jobs is interpersonal communication. Whether it’s food service or administrative work, it’s likely that you’ll have to report to managers about progress you’ve made or issues that arise. Face-to-face conversations are key to master, according to The Balance Careers, especially when “93 percent of communication effectiveness is determined by nonverbal cues” and a performance’s impact can be determined “7 percent by the words used, 38 percent by voice quality, and 55 percent by the nonverbal communication.” Consider skills that you’d like to emphasize or write down on your resume once you resign from the position. Though you may originally focus on how much you’ll be paid, remember that the skills you pick up should be beneficial for when you settle in your career choice down the line. A part-time job that doesn’t benefit your development, impart new knowledge, or get you closer to your ideal future career is not worth your time. 2. Where would I like to work? This question is especially important since it will limit your internet search appropriately. When it comes to seasonal jobs, you’ll likely want to be close to wherever you call home in order to make yourself more available for the holiday rush and its odd hours. If you’re looking for a more permanent part-time position, start your search by looking into what your immediate community offers. Local news sources like Patch can help you understand what people are currently looking for, and job sections can give you a base idea of community needs. Friends and family can potentially guide you to job opportunities as well. Trusted connections, as long as they’re aware that you’re searching for a part-time job, will often keep an ear open and report back to you if they hear an opening of interest. If you’d like to take a part-time job outside of your immediate community, definitely ensure that your LinkedIn is updated as you browse sites like Monster or even Fastweb for a part-time job. Alternatively, you can refer to targeted job boards like the ones listed in TIME to find industry-aligned positions that are available around you. If you’re on a college campus, check out your university’s job board postings, which are often accessible online or in your college’s career center. Keep transportation in mind when you’re deciding on a part-time job as well. Where you’ll be able to work will largely depend on your access to a personal car or to public transit. Travel time and cost of gas can influence your decision since travel impacts your normal schedule and gas must be subtracted from your wages. 3. How many hours can I fit into my schedule? A student schedule is often strenuous on its own, so a part-time job will only make it more so. If you’re looking for a position that can be potentially balanced between academics and your lifestyle, focus your search within your university’s job board. This plan of action works in your favor since it’s reasonable to assume that employers hiring on that site respect academic course load and will hypothetically be more flexible around exam time. If you’re seeking a part-time position outside of the academic year, consider how many hours you’d like to set aside for yourself. Part-time work should never eat up all of your time! According to UC Merced Professor Matthew Zawadzki, going through leisure activity leads to “‘lower stress levels, better mood, a lower heart rate and more psychological engagement - that means less boredom, which can help avoid unhealthy behaviors.’” Taking time for you is arguably as beneficial as the wages you may be seeking in a part-time job because separating yourself from stress helps manage your health. As mentioned previously, work hours do not just include hours spent at work. Be sure to include travel time when you’re puzzling out how to fit a new part-time position into your life. Part-time work offers transferable skills that can benefit your career post-graduation while offering additional income that can offset academic or extra expenses. 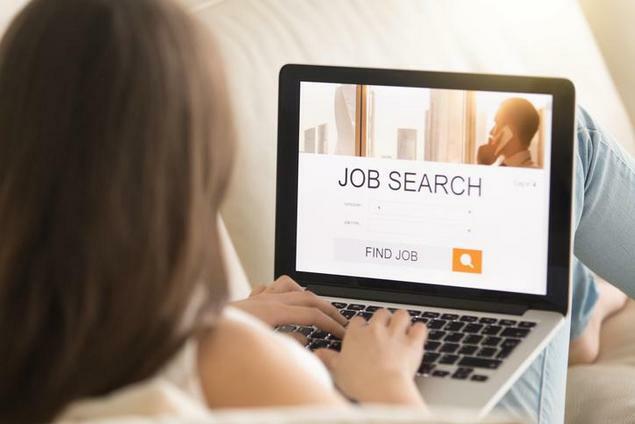 Finding a part-time job can seem daunting at first, but asking yourself these questions can set you on the right path for discovering the most ideal position. Don’t get discouraged by the sheer amount of information available to you and search smarter instead with this guide!